Friends on Flickr - Do you have photos of ecotourism and responsible travel in Peru? 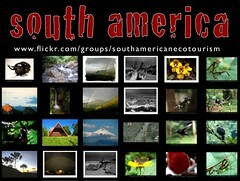 Please share them in the Re-Imagining South American Ecotourism Group. Interested in eco travel and ecotourism? Register for the Planeta Update by sending a blank email. We also host a South America working group to improve regional coverage.